This is one of my favorite shots from Memorial weekend. Taken on Sunday evening, there were some really nice clouds at sunset that night. After the sun went down we could hear thunder rumbling in the distance and as darkness fell over the lake a nice little lightning show was visible out on the horizon. After the two previous evenings which were very dismal shooting conditions (rain and gray, cloudy skies), Sunday evening more than made up for it with some of the most spectacular spring sunset clouds I've ever seen. The island on the left is called Pancake Island, and the one in the distance is called Blueberry Island. My buddy Roger refers to them as "The Breakfast Islands" (think blueberry pancakes!). 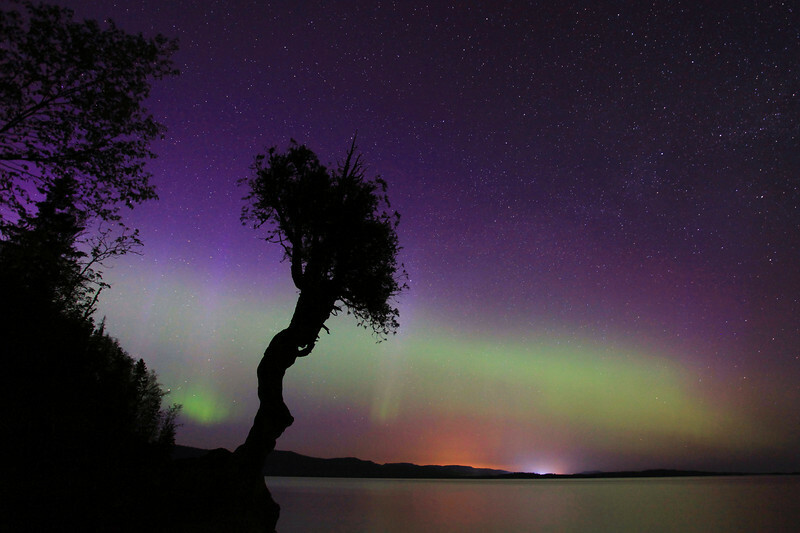 "Northern Lights - June 4, 2011"
Here is my best shot from last night's aurora activity. This photo was taken at 11:15 P.M. There was a nice band of green with some purple fringe along the top for about an hour to an hour and a half. After that the color faded a bit, and it was no longer very conducive to making good images. 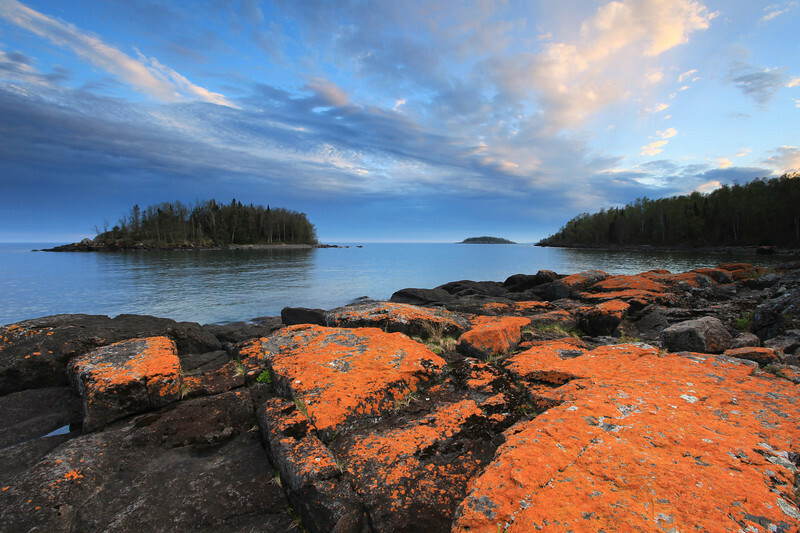 Another beautiful night on the shores of Lake Superior! 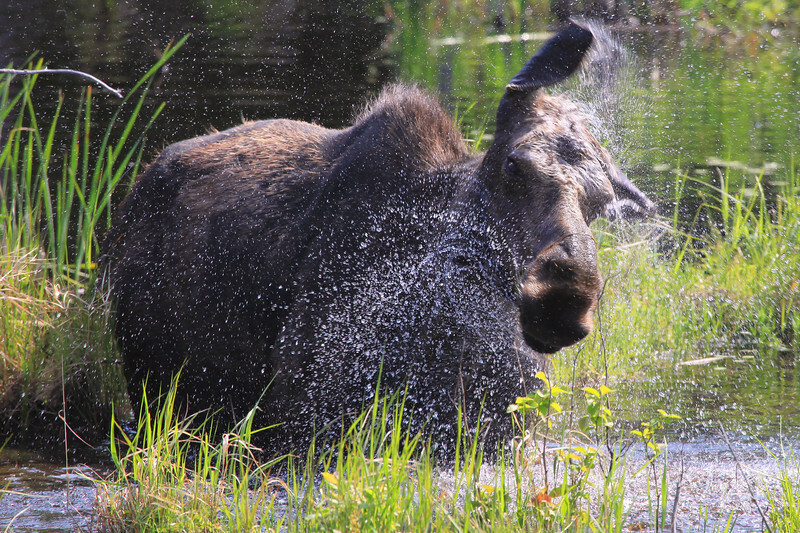 A cow Moose shakes water from its body after digging in the water for some plants to eat along the Gunflint Trail in Northeast Minnesota. Shoe Lake Road - Cook County, MN. 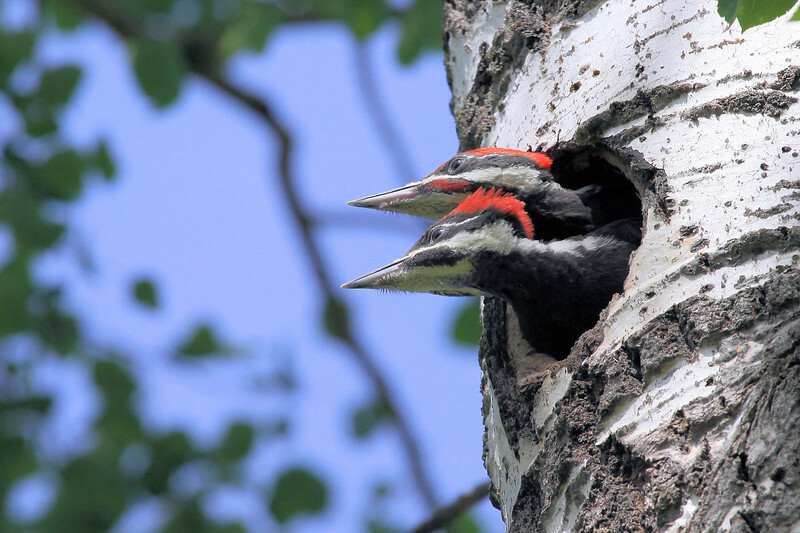 I saw these cute little fellows while driving home from the Gunflint Trail yesterday. Came around a corner on Shoe Lake Road and there they were, sitting just a few feet off the road. 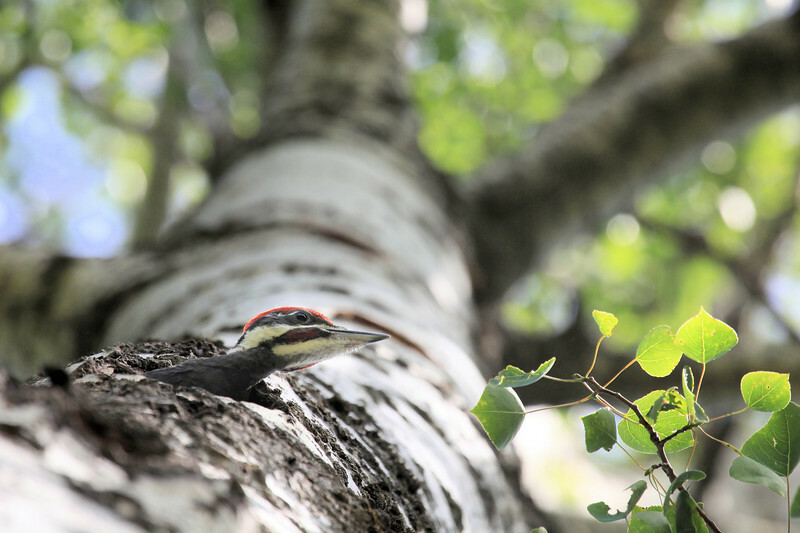 I watched them for a couple of minutes before they wandered back off into the woods. 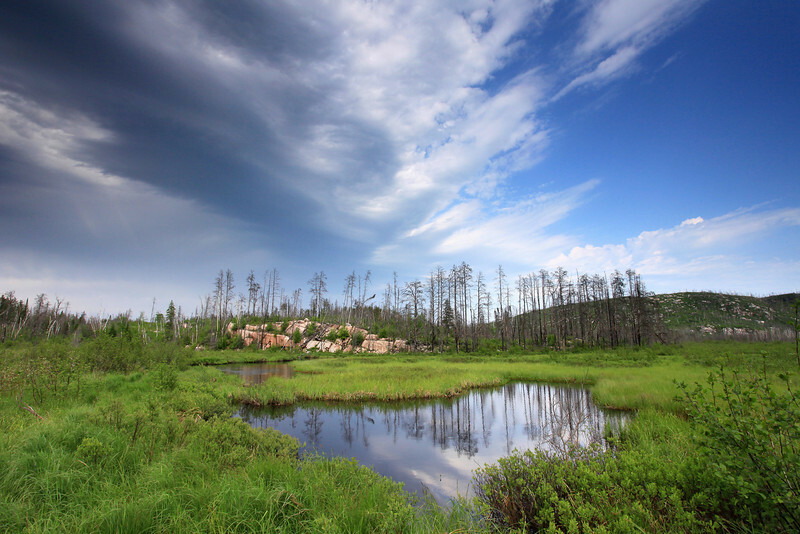 "The storm that never was"
Today I went for a drive up to the end of the Gunflint Trail. As the end of the road got closer and closer, I started seeing a really ominous cloud bank up in the sky. I thought that it for sure was not only going to rain, but thunder and lightning something fierce by the looks of it. Nothing ever came of it. The cloud bank loomed, but moved on without so much as a whisper or a single drop of rain (at least, not that I noticed!). 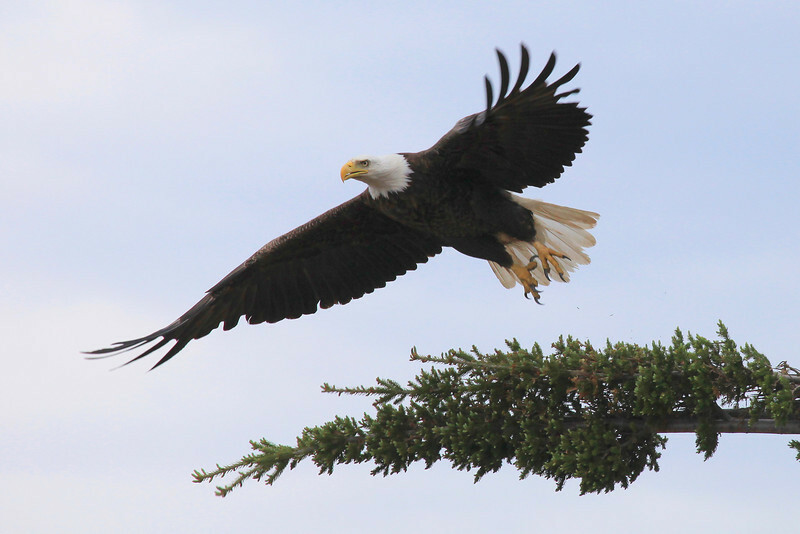 Check out these Bald Eagle shots I captured on my way to Grand Marais this morning. I was heading in early for a clinic appointment (tested postitive for strep throat... bummer!) 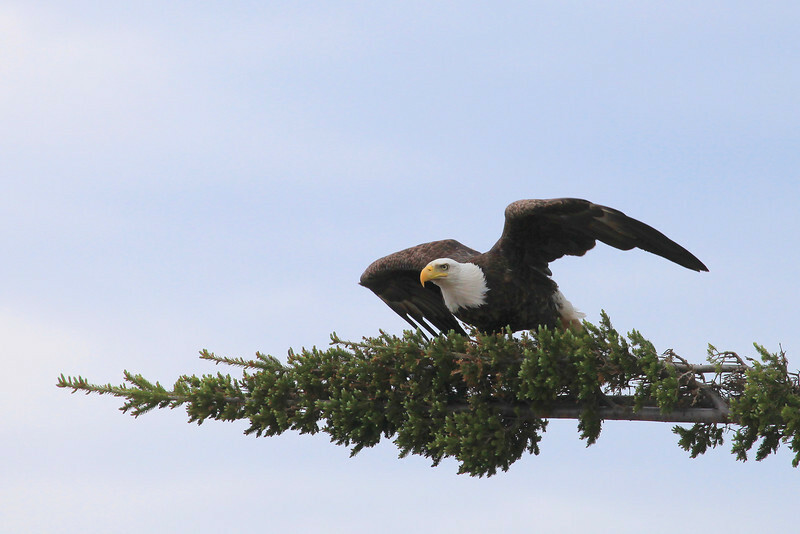 when I saw this Eagle perched in a tree that was on the verge of falling over. 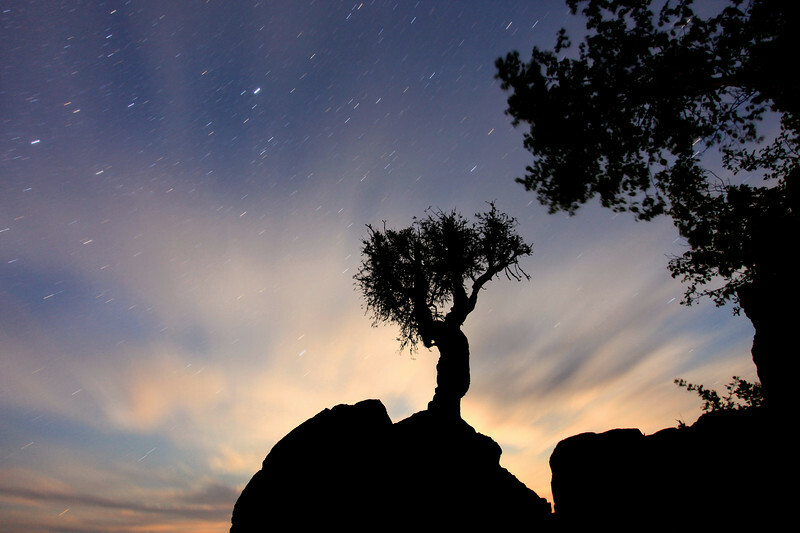 These photos are proof positive that it always pays to have your camera gear in the car with you, and in this case, to have some extra time. I was traveling about 15 minutes early for my appointment so when I saw this Eagle I had plenty of time to pull over, walk down on the beach and get some pictures of him. 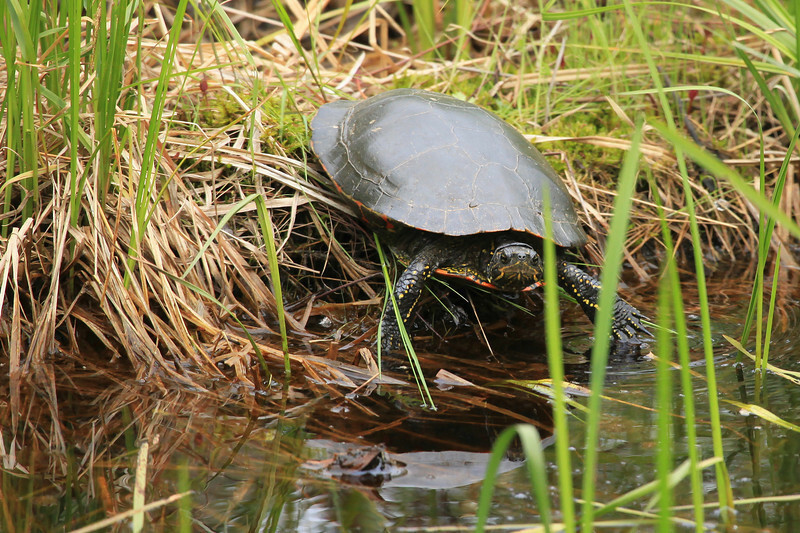 A surprise yesterday while driving past a small pond, I happened to catch a glimpse of this small Painted Turtle in the corner of my eye. I backed up and watched him for a while, but when I opened the door of my truck he didn't like that and moved towards the water. I snapped this shot just before he slipped beneath the surface. 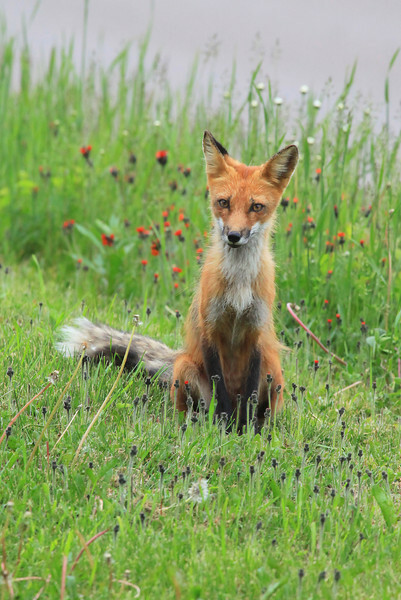 This is a photo of the latest "friendly fox" that has been hanging around near where I live. 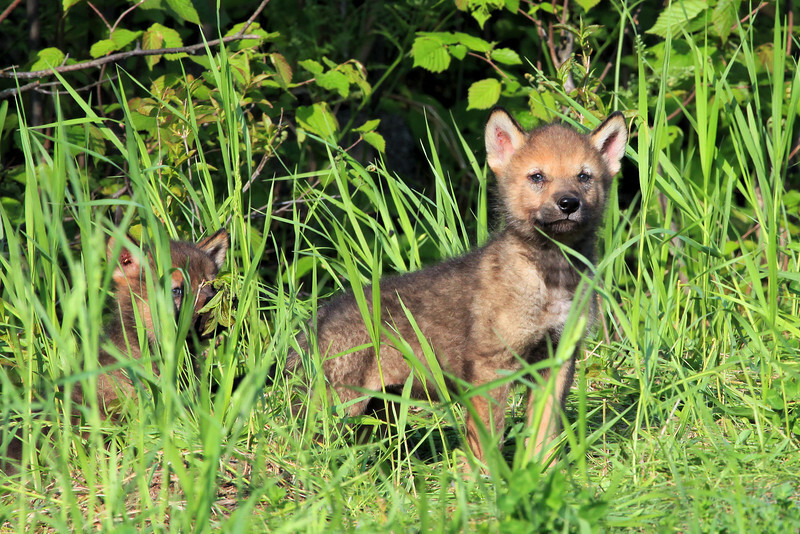 A litter of fox were born this year underneath the Catholic Church in Grand Portage, MN and lately the young ones (and mom) have been very active on the grounds surrounding the church. The evening I captured this shot we had spent a total of about an hour and a half watching the foxes. Mom was around most of the time, with the young ones making an appearance every ten minutes or so. When I took this photo Mom was just sitting in the grass about 25 feet away from us, watching us as much as we were watching her. 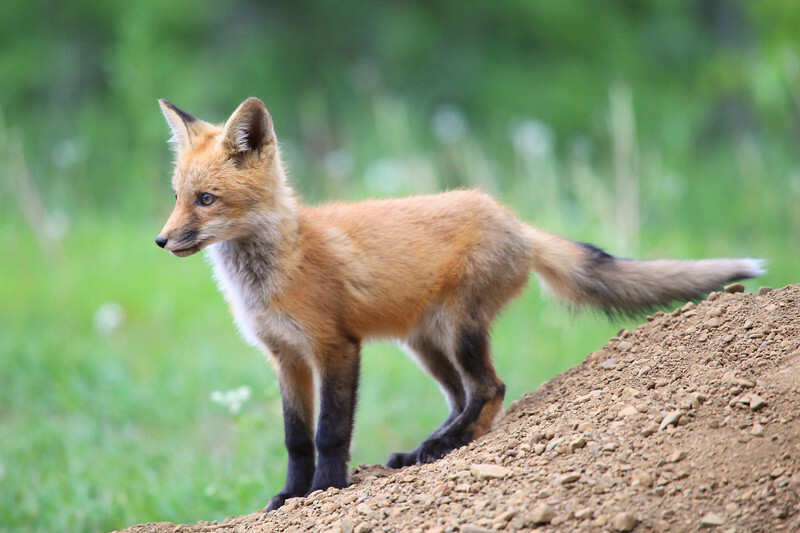 I love the eyes of a fox, they can convey so much emotion. In this photo she just seems to be more curious than anything, and her behavior also led us to believe that at this moment, the only thing on her mind was curiousity. She was probably wondering what these guys were doing pointing these big white camera lenses at her! One of Momma Fox's babies! 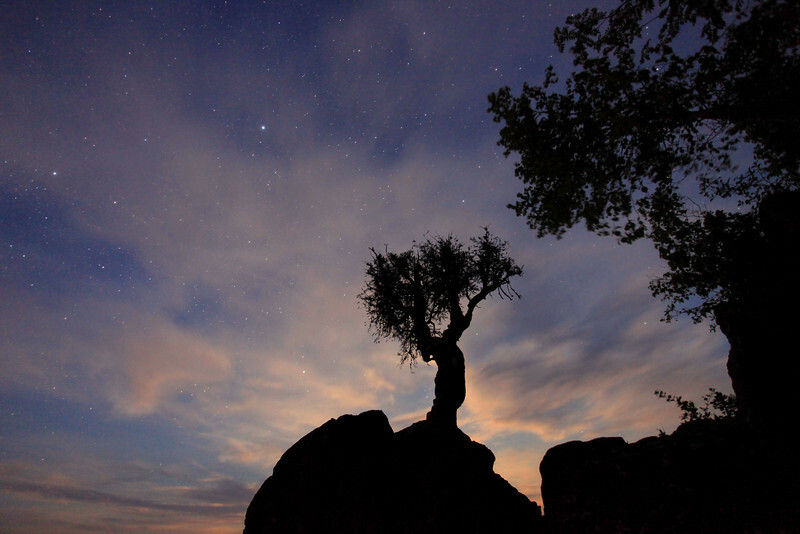 Taken during June's full moon, this is a 30 second exposure where the moon was behind the rock just below the tree. Here is a similar shot to the one above, only this is what happens when you leave the shutter open for 5 minutes instead of 30 seconds. I love how the clouds turned out in this one! 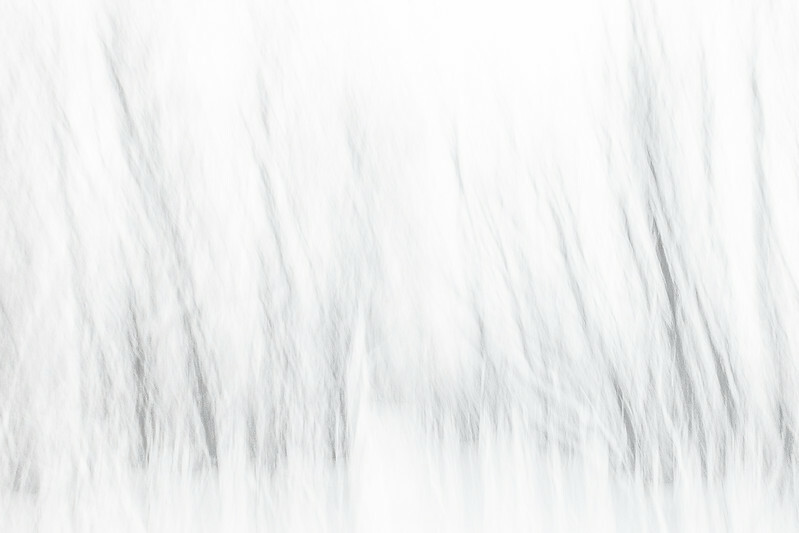 They reminded me of brush strokes from a paint brush, hence my name for the photo. 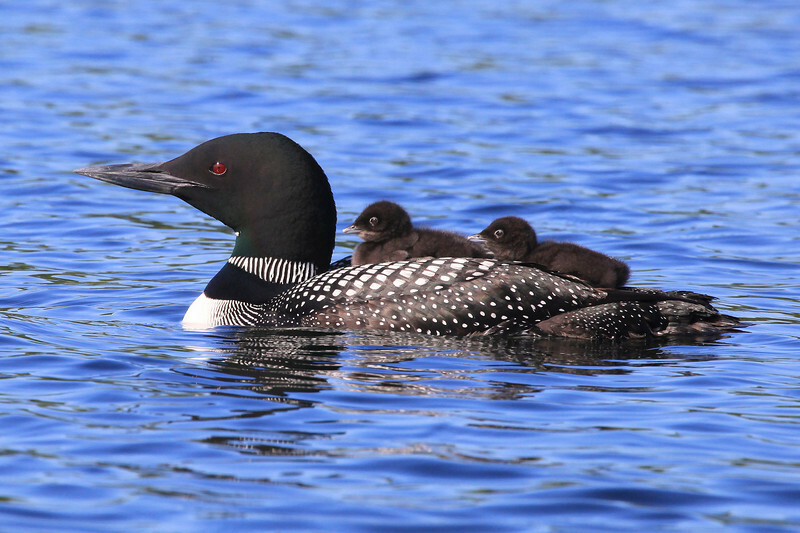 Just moments after leaving the nest, a baby Loon gets its first taste of life on the water. 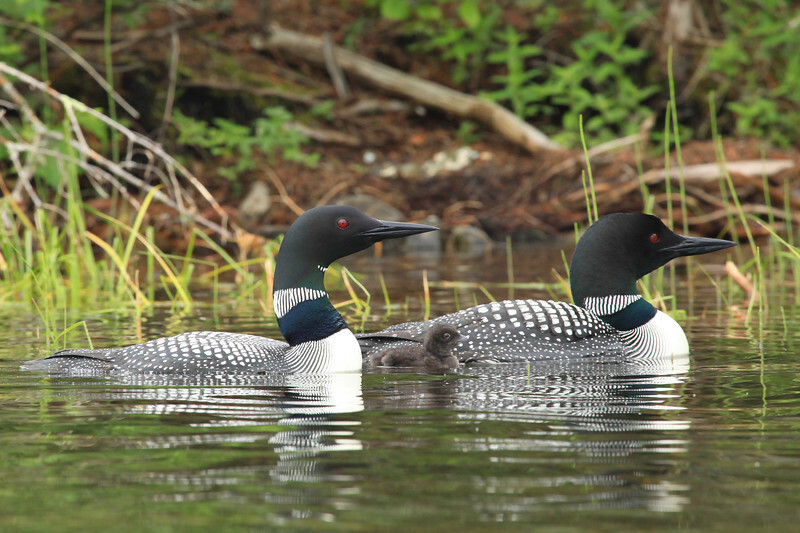 If you look just above the beak of the Loon on the left, you can see the nest and the egg shells in the background. Just got in from one of the best days EVER in my life! 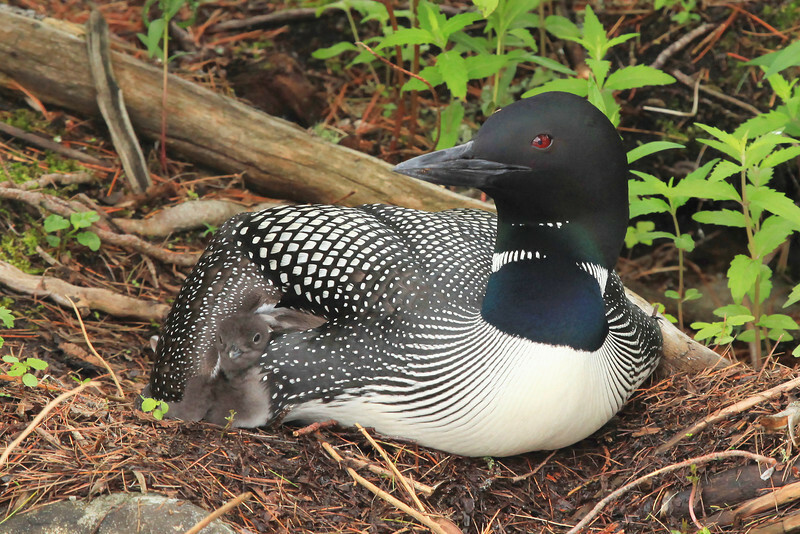 Had an incredible day photographing Loons and Pileated Woodpeckers. The paddling weather was also perfect, unlike yesterday. Sunny skies and calm winds make for some beautiful conditions on the inland lakes! 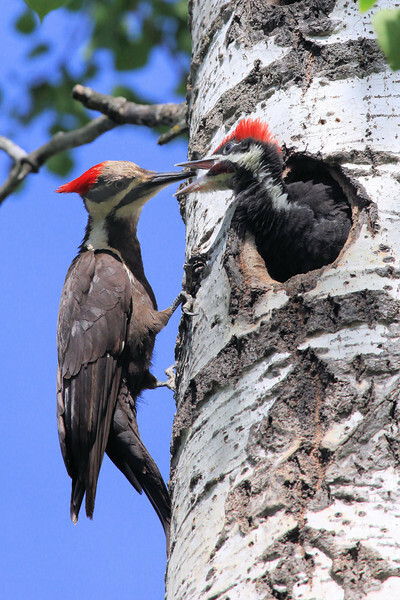 "Peering out from the nest - Pileated Woodpecker"
"Feeding the young - Pileated Woodpeckers"